Or 123 seconds to be precise, heading the first goal in the comfortable 3-1 Checkatrade Trophy triumph against Carlisle United. The game was also notable for the debuts of other young Sunderland talents. The result against the League Two side was never in doubt, despite the Cumbrian outfit levelling the game twenty minutes later in the first half, but the goal scored by Ethan Robson put Sunderland back in the lead before half-time, with George Honeyman adding the third midway through the second period. 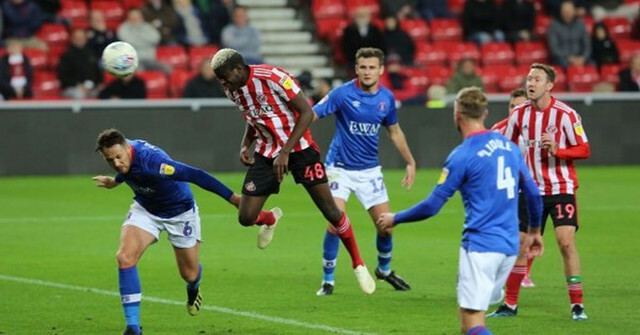 All in all, a positive team display in the cup competition and show of good form that will hopefully carry over into the upcoming League Two games, with Sunderland remaining amongst the moplay.co.uk football betting favourites for promotion this season. While the Sunderland squad will have a chance to rest and recuperate a little, with the previously scheduled game for this weekend against Blackpool postponed due to the international fixtures and call-ups, everyone now is talking about what 18-year-old Kimpioka can bring to the team, with the club’s academy doing an excellent job of preparing young players for action with the first-team squad. His first senior appearance in the final moments of the 2-2 draw against Peterborough in the League Two draw at the Stadium of Light, scoring his first goal just two minutes into his full debut, will undoubtedly be a huge boost to the confidence of the Swedish youngster, who is now keen to push for more opportunities. Needless to say, the player himself was thrilled to bits by his goal and performance against Carlisle. Kimpioka enthused, in comments noted by the Sunderland Echo. Content with the overall team performance, given so many changes to the starting eleven, Jack Ross mixed words of praise for Kimpioka with words of wisdom, keen to stress the importance of the youngster remaining focused. Happy with the goal scored, Ross pointed out that the young striker still needs to work on his off the ball contributions. However, he was equally delighted with the progress Kimpioka has made through the academy, along with Jack Diamond and Lee Connelly, who also made their first-team debuts against Carlisle. 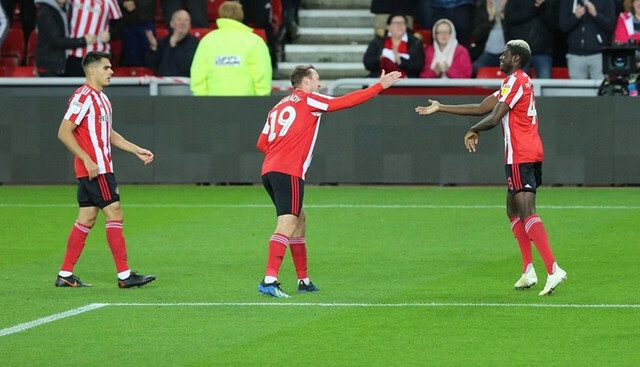 Sunderland supporters were also glowing in their praise for the talented young players, forcing their way through to compete for opportunities, as the Chronicle Live observed delighted fan messages posted on social media. Currently third in League Two, with the target being automatic promotion back to the Championship this season, they could make the difference on the road ahead.